The forthcoming Flora of Worcestershire is the first comprehensive account of the flora of the county since The Botany of Worcestershire by Amphlett and Rea in 1909 which is now hopelessly out of date. Since then land use has greatly altered and the rate of change has accelerated in the past fifty years with a revolution in farming practices. Consequently there has been a need to re-assess the numbers and distributions of the species remaining in the countryside. It is essential that naturalists in other fields and conservationists have information on the status and distribution of the flora, especially with regard to rare and endangered species. With this in mind the Worcestershire Flora Project was set up in 1987 and between then and 2005 a small group of amateur but experienced botanists systematically surveyed the county. Recording has been within the old Watsonian vice-county 37, plus additional areas which are part of the current administrative county. It was decided that the recording unit would be a tetrad (2x2 km square) of which there are 596 in Worcestershire. Each hectad (10x10 km square) was controlled by a co-ordinator responsible for organising the field recording, coverage and record keeping for each for their squares. A specific Worcestershire recording card was designed to include some 900 of the species likely to be encountered, with provision for the details of any additional species. 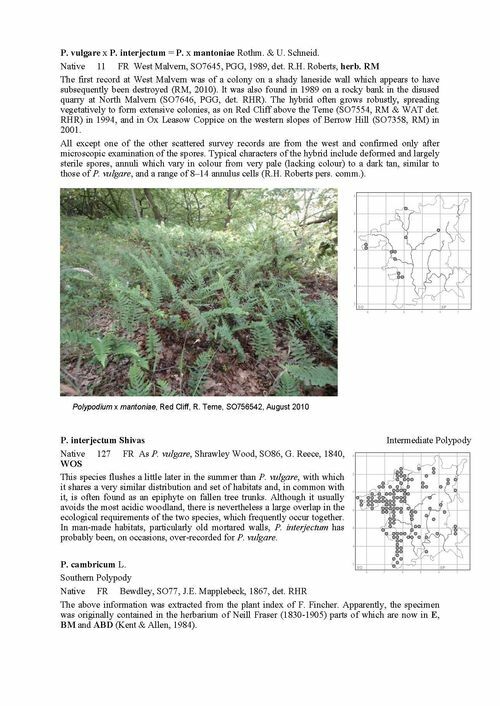 With regards to scarce and critical species, the recorder was required to give full details that included a six-figure grid reference, locality and habitat and, where it was responsible to do so, a specimen was collected to support the record. One important aspect of the recording has been the extensive coverage of difficult plant groups, especially the very critical genera, Rubus (Brambles), Taraxacum (Dandelions), Rosa (Roses) and Salix (Willows). Well known as presenting formidable obstacles to identification these groups have been circumvented in many other county Floras. In some cases, where there has been insufficient local expertise, specimens have been sent to the appropriate national experts for correct determination and, on several occasions, these experts have visited the county. General recording was concluded at the end of 2005 since when information has been continuously updated on important species while the Flora was being written. At present the Flora database holds over 700,000 individual records and information on at least 2,500 species that are known to occur or have previously occurred in the county. This includes all the native species and alien species which have become either naturalised in the wild or are of casual occurrence. The first part of the Flora includes introductory chapters on post-war land use, the history of recording in the county, geology and soils, habitats and changes in plant status. The second and most important part of the Flora covers the species accounts. Many of these are accompanied by distribution dot maps and throughout this section there are over 400 coloured photographs of plants in their typical habitats (01, 02 & 03). 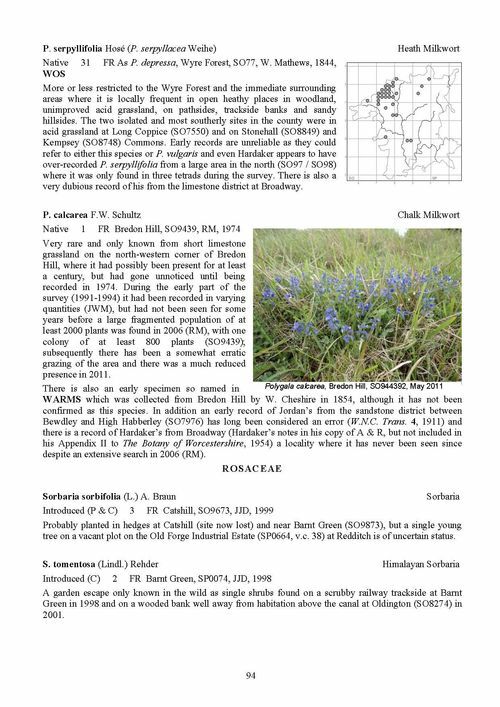 Fully detailed accounts are given for the less common, declining and critical species and include information on local variation and infraspecific taxa (sub-species, varieties etc.) and details of habitat, frequency and distribution, temporal changes etc. Much previously unknown historical information is included. This has only been discovered after searching all the known literature and, in particular, the examination of herbaria, especially the Worcester Museum Herbarium which includes many thousands of plants collected by several of the early botanists from the 1820s onwards and the major collections of William Mathews and Richard Towndrow. It was soon realised that it would be necessary to raise funds for publication. With this in mind the Worcestershire Flora Project became a registered charity (no. 1040495) in 1995. Recently the charity has received financial support from a number of supporters, including generous donations from Worcestershire County Council, Worcestershire Wildlife Trust and The Helen Rachael Mackaness Charitable Trust. It is proposed to publish the Flora privately during the early part of 2014. The publication will be the most thorough and extensive undertaken by any natural history, conservation or closely associated body in Worcestershire and will provide important details of its flora for botanists, students and town and country planners alike. Two near final draft pages from the Flora follow to give a taste of the contents of the book (04 & 05). 01. 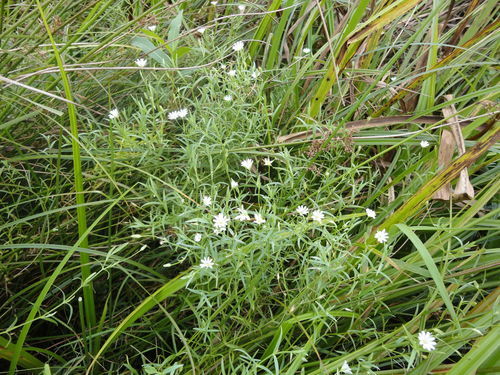 Stellaria palustris (Marsh Stitchwort), a rare Worcestershire species. 02. 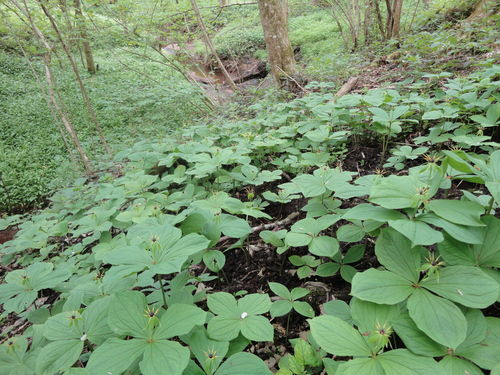 Paris quadrifolia (Herb Paris) a local plant of ancient woodland. 03. 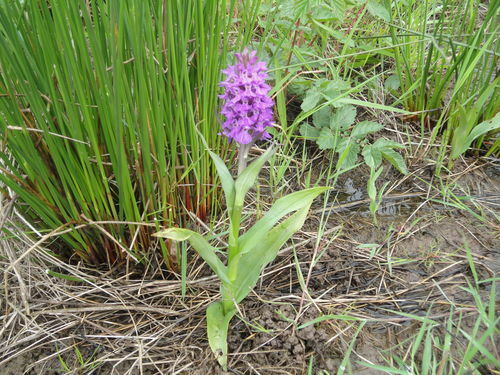 Dactylorhiza praetermissa (Southern Marsh Orchid), locally frequent in the north of the county.